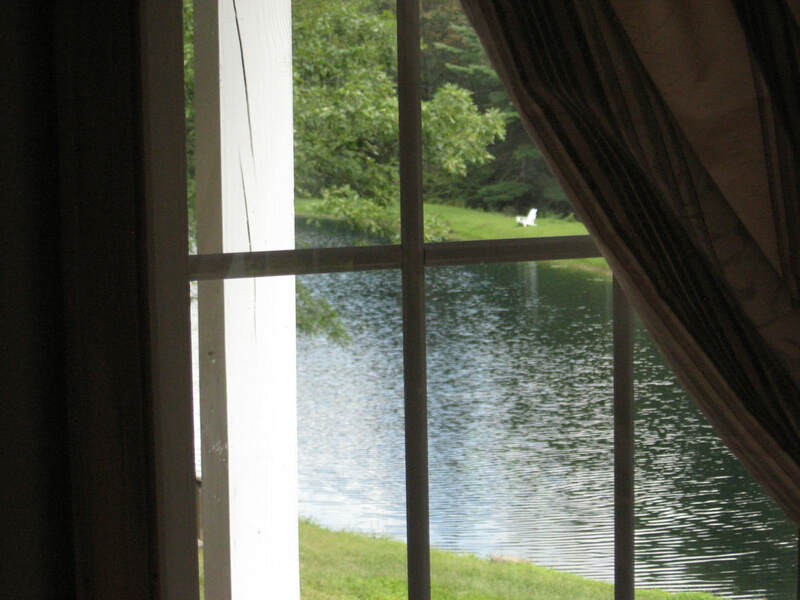 Summer at Lory Cottage by the Lake. 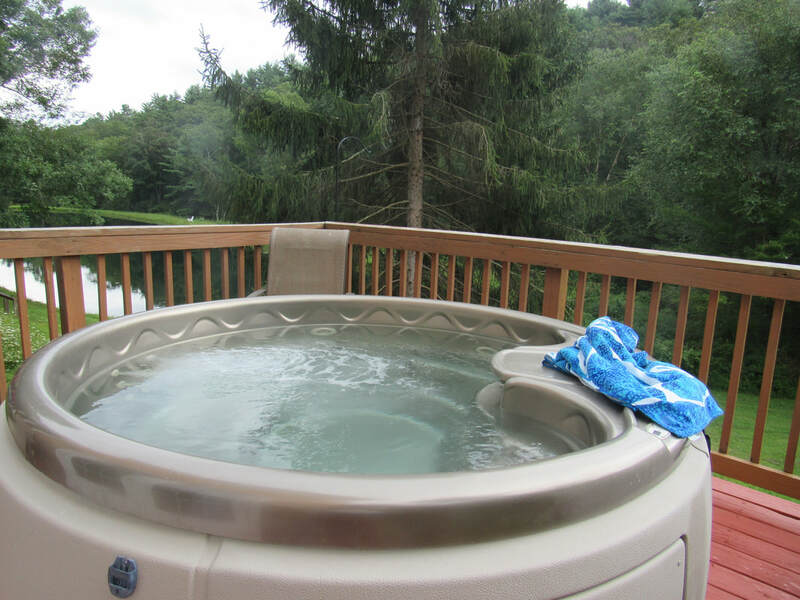 Two Bedroom / Private Hot Tub. 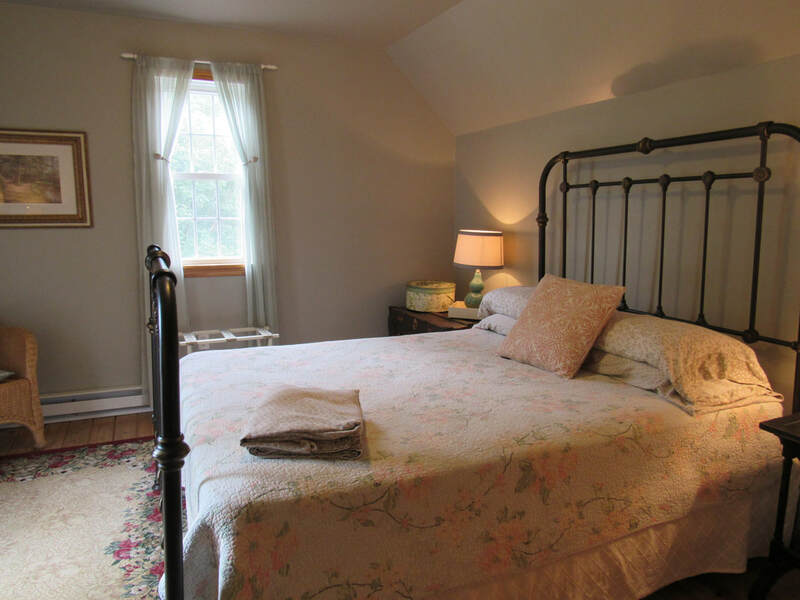 Bedroom 1 @ Lory Cottage w/Queen Bed. 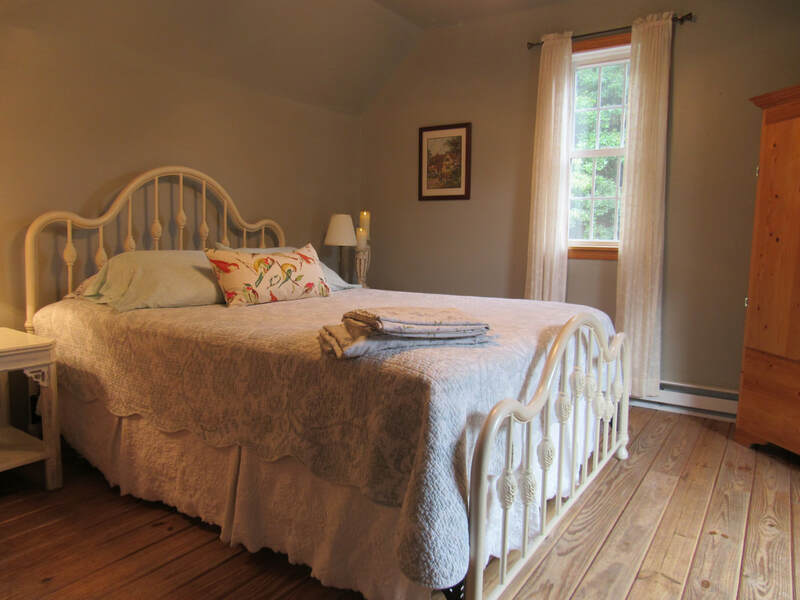 Bedroom 2 @ Lory Cottage w/Queen Bed. Lory Cottage 4th of July. 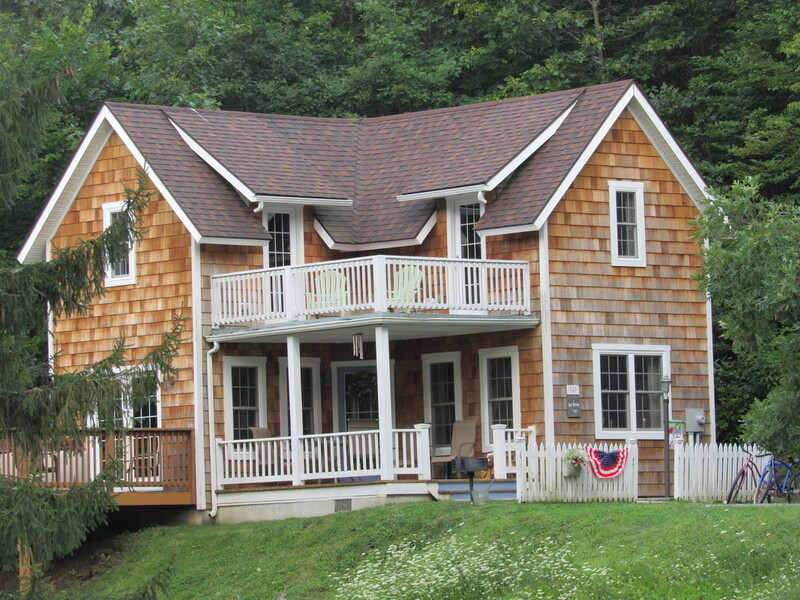 is our lakeside cottage; a lovely two story, two bedroom getaway located at the end of the lane. 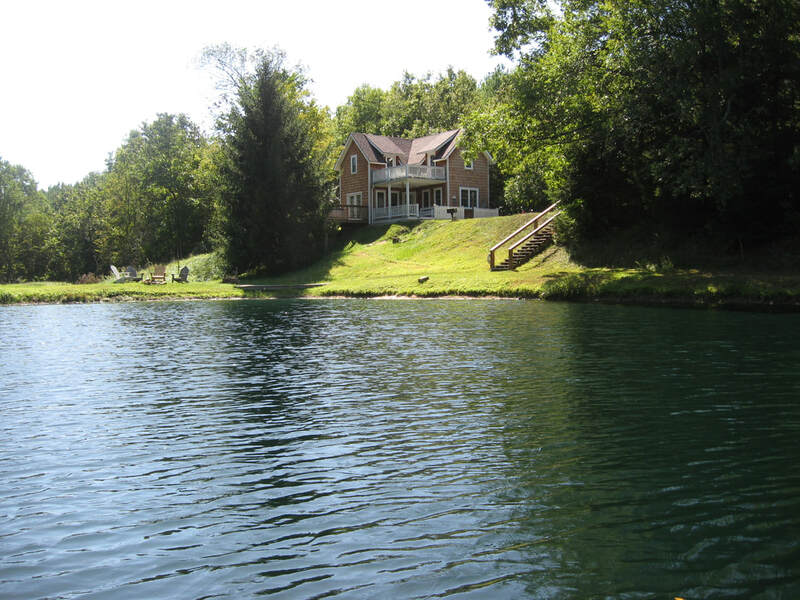 It's the perfect place for pedal boating, fishing, tubing, or just relaxing by the water! 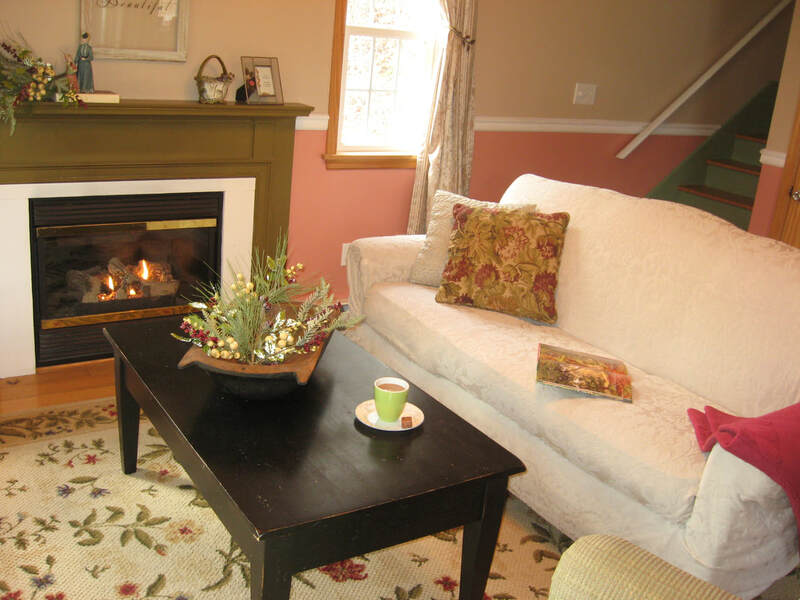 Amenities : Living room w/gas fireplace, eat in kitchen, Wi-Fi, TV w/DVD player (no TV reception), Am/Fm radio CD player, electric baseboard heat, central a/c, full bath downstairs w/1/2 bath upstairs, full size stack washer/dryer, 2 bedrooms upstairs - both w/queen size beds, sundeck upstairs accessed from both bedrooms, living room deck with hot tub, large front porch, and charcoal grill by the front yard. 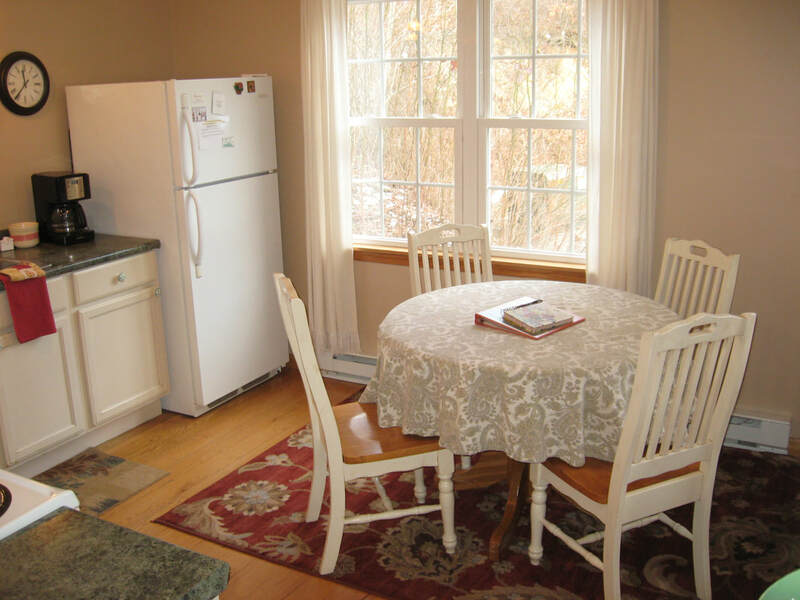 Lory Cottage is fully furnished, and has all of your necessary bed and bath linens and pillows.